List Price $ 13.74* each *Please note pricing is USA only. The Master Lock No. 2305 (11oz) Lock Lubricant with PTFE is the ideal lubricant for multiple lock applications including padlocks, door locks, automotive, marine and multipurpose applications. The PTFE formulation cleans the lock components while lubricating and leaves behind a protective shield against dust, dirt, salt, moisture and other corrosive materials. This unique formulation is excellent for locks used within a wide temperature range & will help de-ice pre-lubricated locks. My locks freeze in the winter. What can I do? 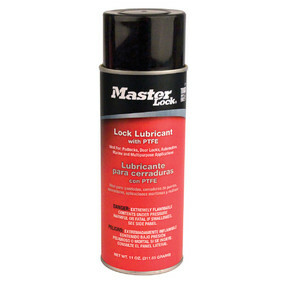 Lubricate your locks with Master Lock recommended lock lubricant 2300D and 2311. Master Lock’s lock lubricant 2300D and 2311 is specially formulated to not only prevent your locks from corroding, but the formula also prevents moisture from condensing inside the lock, which greatly reduces the likelihood your lock will freeze due to cold weather. View proper care and service of Master Lock Products. My key no longer turns, what can I do? 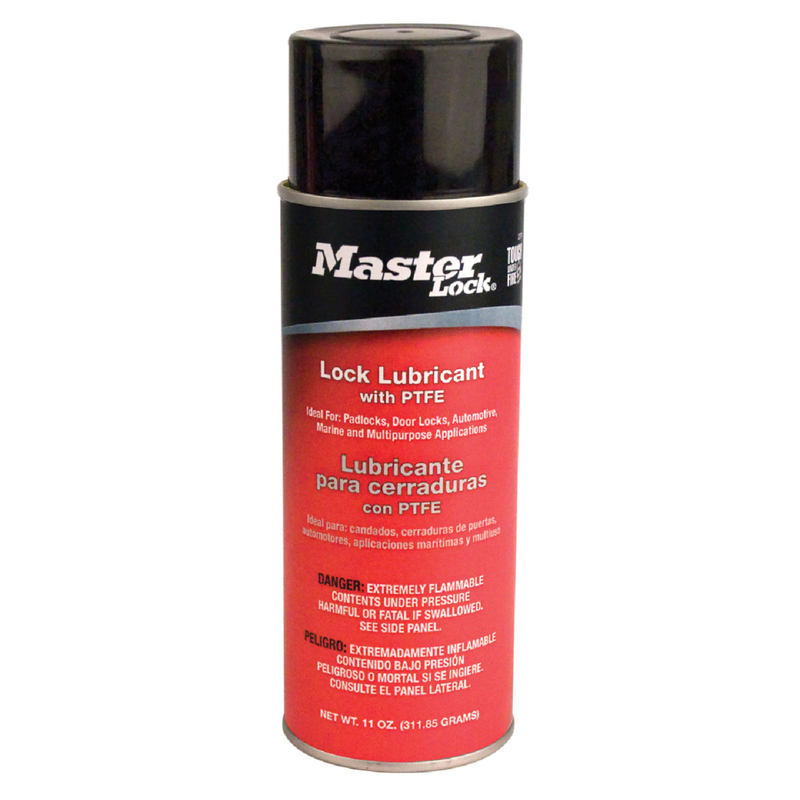 Lubricate your locks with Master Lock recommended lock lubricant 2300D and 2311. View proper care and service of Master Lock Products.